There is no shortage of coal for the Power Sector, noted a latest update from the Ministry Of Coal.  In the beginning of 2018-19, Coal India Limited (CIL) had a pithead stock of 55.55 Million Tonne (MT) and stock at Power House end was 16.27 MT. In the 1st Quarter of 2018-19, CIL dispatched a record quantity of 122.2 MT coal to Power Sector, thereby achieving a growth of 15% over the dispatch in the corresponding period of last year. The growth in dispatch of coal to Power Sector has helped coal based generation to achieve positive growth of 5.3% in the 1st Quarter of 2018-19. 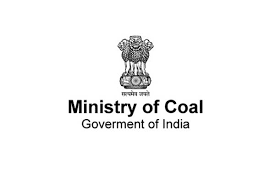 Coal supplies to Power sector is monitored regularly by an Inter Ministerial Sub Group comprising representatives of Ministries of Power, Coal, Railways, Shipping, Central Electricity Authority, NITI Aayog, CIL etc. This sub-group has been meeting periodically, at times twice every week, in order to take various operational decisions for meeting any contingent situations relating to Power Sector including critical coal stock position for power plants. A committee of Secretary (Coal), Secretary (Power) and Member (Traffic), Railway Board has been jointly reviewing the coal transportation and supply on a regular basis. The CIL has been advised to work out a definite action plan for higher production & off-take during the current quarter and to ensure that necessary clearances for the existing coal mines are in place which will help in increasing the coal production in the short / medium term and in operationalising the newly allocated coal mines for further increasing production in the medium term.